Today I’m going to show you how to make a complete Smart Mirror. In fact, after reading this guide you will be able to make your own with no real expertise in woodworking or programming (unless you want to). Build your own smart mirror by combining a dielectric smart mirror with a decorative frame to match your decor. 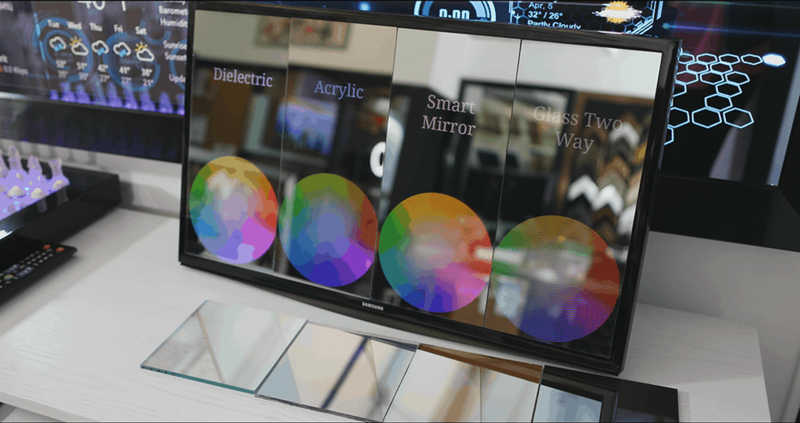 The glass smart mirror is 70% reflective and 30% transparent so it is almost identical to a standard mirror. It provides really great display quality through the mirror. A diy smart mirror is super fun and easy! Of course there are ways to complicate it but using our techniques you can get the basics down. Think about the features you want in your smart mirror and what you have to work with. For most people doing this on a tight budget, touch capability is typically not recommended. The most popular set up is a recycled computer monitor connected with a Raspberry Pi 3 B+, loaded with magicmirror.builders software. Simple. Cost effective. With an IR Touch Overlay, you will need woodworking experience to frame it up. 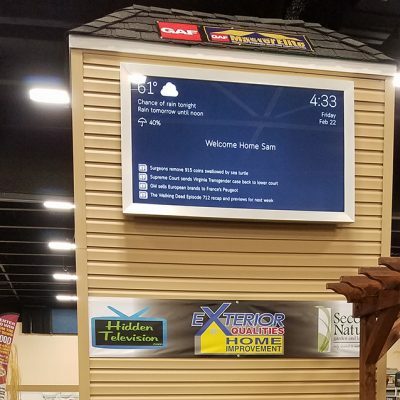 The IR Touch sizes match TV sizes with a 16:9 ratio, and are not typically found as a standard size frame you can order online. 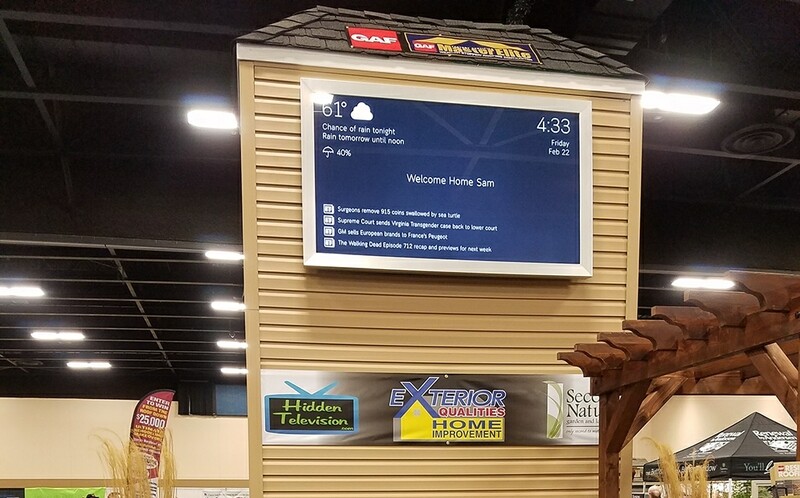 With the touch foil, you can use any size screen and mirror, so this does open up more possibilities for ordering a pre-made frame and standard mirror size. Below are some examples of Samsung TVs that have been framed up to the view-able area of the screen with an IR Touch Overlay installed on top of the mirror, underneath the frame. The IR Touch Overlay can be larger than the TV. However, this is not recommended unless you want to hide a camera behind the mirror. 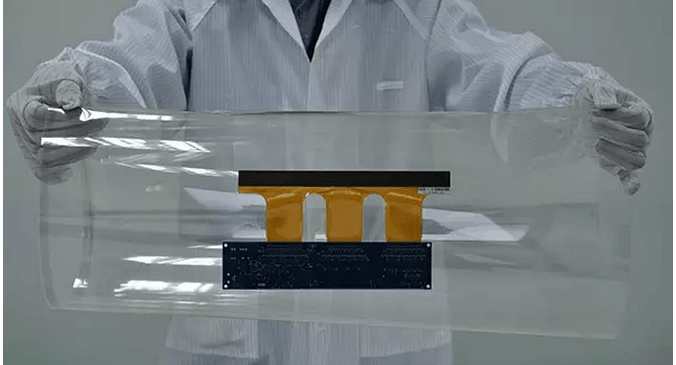 With this technology, the display is on the bottom, followed by the mirror, then the IR Touch Overlay on top. From there you will cover the overlay with a frame to hide it from view and to hold the smart mirror together. This is the most popular way to add touch because it is less expensive and easier to find than the touch foil. Make sure the IR Touch Overlay and Mirror Size are the Same! IR Touch Systems (Huaxin Electronics) for Windows & Linux. The touch foil is ideal for projects where the TV is smaller than the mirror, and you want to customize the mirror size to be any size. 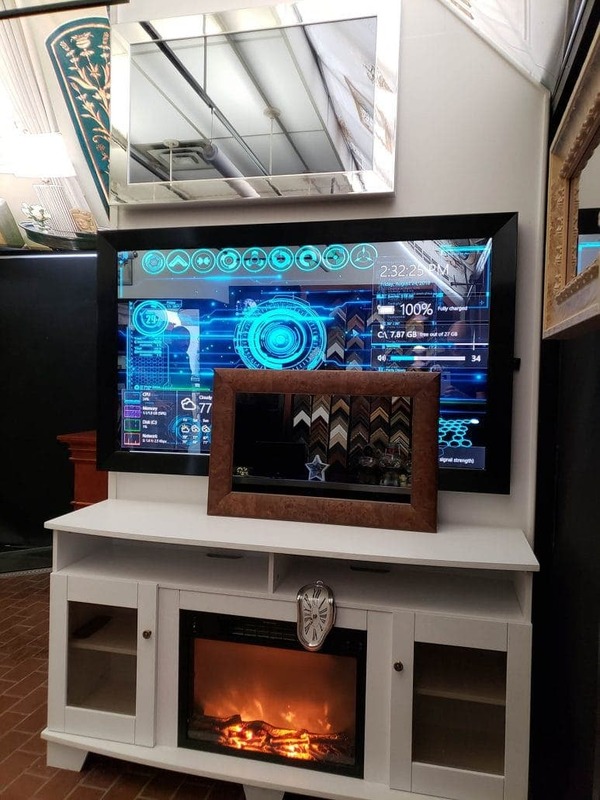 It is also great for frameless smart mirror projects because you can simply apply this to the back of the mirror and hide the TV/monitor within the wall. Any old computer monitor will do. If you’re in the market for something new, here is my complete list of recommended monitors. The thinner the better, especially if you have no framing experience. This is because when you have a thicker display, the overall frame has to be wider and it is difficult to find frames thick enough that are pre-made at Walmart, Meijer, etc. 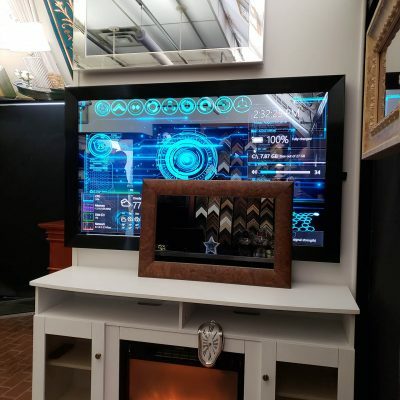 For framed smart mirror projects, I recommend going with a 2.5″ frame width or larger if you are doing the framing on your own and are framing to the view-able area of the screen. 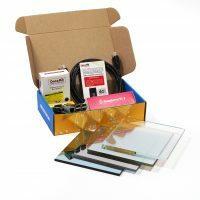 If you are buying one that is ready to go (no woodworking experience required), a shadowbox frame is your best option. 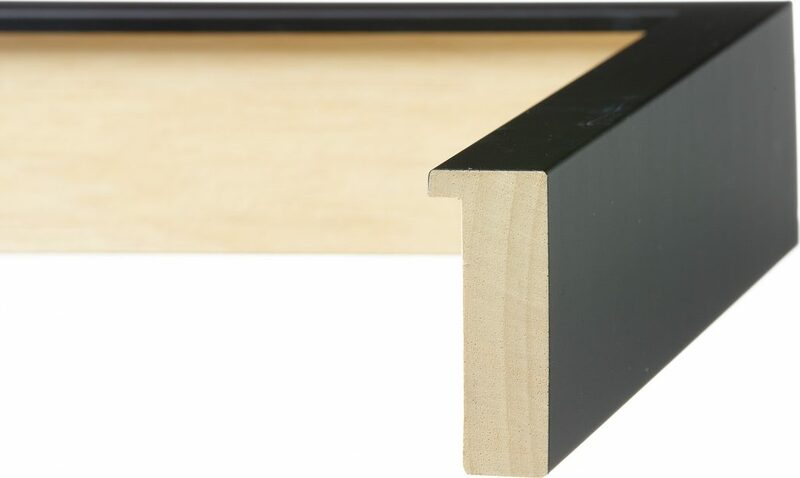 After you have selected your monitor, check the thickness and find a shadowbox frame that can hide it completely, factoring the glass in front (1/8″ to 1/4″ in thickness). This will give you the best look in the end. You want it to be thick enough to house your monitor and computer, but as thin as possible so it is not like a cube sitting on your desk or hanging on the wall. When you are on the hunt for the perfect frame, make sure the insert is removable so you can replace the clear glass with the special mirror. 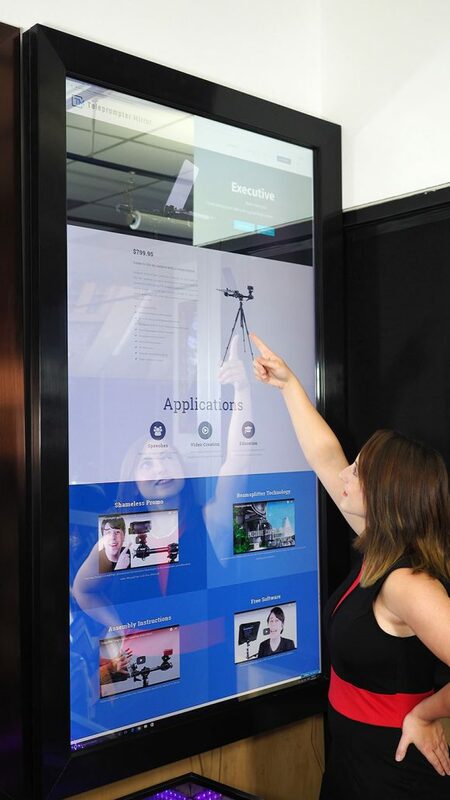 If you cannot find what you are looking for, check out our Smart Mirror Frame product. We build custom size frames with a thin, modern frame that has a lot of depth. 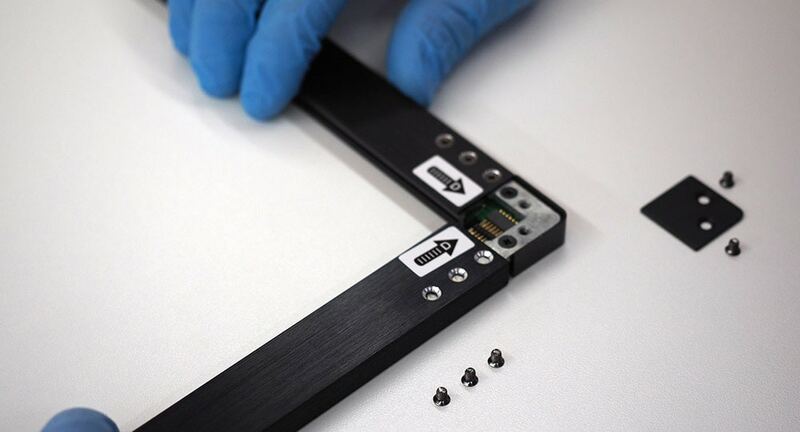 The standard frame thickness is 2.5″ and we can double this up to 5″ to fit even the thickest display behind the mirror. How do I read technical specifications? Let me review with you what the technical specifications are telling us. The % reflection is on a scale of 0 to 100, 100% being a standard mirror. So, the glass two way mirror, acrylic two way mirror and glass smart mirror are all 70% reflective. This means they will all look almost identical to a standard mirror where the screen is black. The transparency percentage is the most important number! This is because it tells you how much of the display quality you see through the mirror. It puts this number on a scale of 0 to 100, 100% being clear glass or no mirror at all. The glass two way mirror is 11% transparent, so it is blocking 89% of the light coming through. It’s like viewing a television with sun glasses on! The display has a black background with white text. In the picture above there is an image with a black background and white text, as well as a color wheel below each title. This is to simulate what your diy smart mirror will look like with each mirror type. If you are familiar with this application at all, this is super obvious why we would compare them this way! It is obvious who the winner is. Notice with the Dielectric Mirror, the color wheel is much brighter and the text is white and easy to read. However, the reflection tint is not the closest match to a standard mirror. The Acrylic Two Way Mirror has a nice grey tone and is color neutral. Check it out! The Glass Smart Mirror has a crisp reflection and a bright color wheel. This resembles a standard mirror the closest out of all of the options. Finally, the Glass Two Way Mirror is very hard to see as the reflection overpowers the text and color wheel. Can they use the acrylic for their project? That is a loaded question to say the least! There are many factors. I want you to select with confidence the correct mirror that you will be happy with. The acrylic material is bendy by nature. When the thickness is 1/8″, the largest size we recommend is 12″ x 24″, or 24″ x 28″ if you go with the thicker material. Insider note: If you are doing touch and go with the acrylic, the IR Touch Overlay will interefere due to bendiness. Avoid this at all cost. so you will want to cover it with a frame. Let's check out the glass options. For one reason or another, you’ve decided at this point to go with glass. 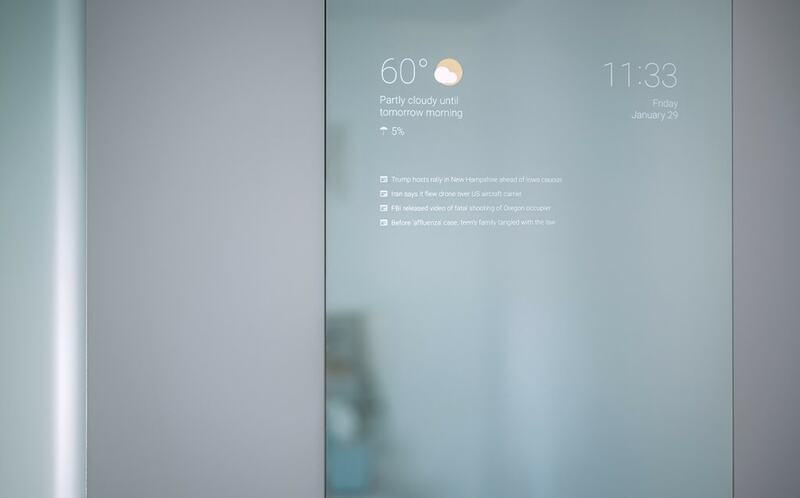 There are two main configurations for a smart mirror. Either the mirror and display are the same size, or the mirror is larger than the display. If the mirror and display are the same size, the Dielectric Mirror is the best choice. This is because the frame can cover the bezel of the tv, so even though it is very transparent, it will not be obvious. Once installed you will be happy you chose it! The display quality is the ultimate, even in bright lighting conditions. When the mirror is larger than the display, you will want to choose a mirror that has a higher reflection. This allows the TV to vanish completely. In smaller sizes, the Glass Two Way Mirror and Glass Smart Mirror are about the same price. For larger mirrors, the Glass Two Way Mirror is a great budget option. 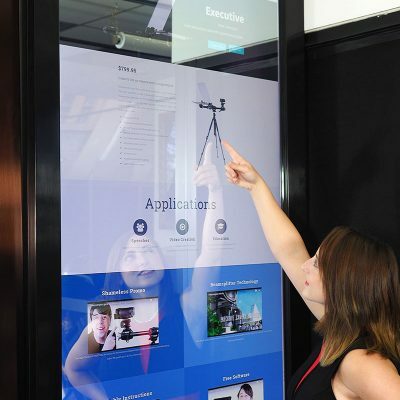 The Glass Smart Mirror is available in an ultra-thin 3mm thickness, as well as a 6mm thickness. The display quality through the mirror is 3 times brighter than a standard Glass Two Way Mirror. Choose the best computer and software for your smart mirror. You want to look at your ultimate goal list and find out which functions are most important to you, so yo can decide on which computer and software to purchase to give you the most functionality. The most basic functions can be achieved with a Raspberry Pi 3 B+ with the magicmirror.builders software. Super easy. Open source. It’s super small so it will fit in well with your overall build. It’s a total win. If you are programming savy, there are a ton of 3rd party modules that add more functions to the mirror. Here is my complete list of computer/software combinations. The Raspberry Pi 3 B+ is the latest model available and is compatible with magicmirror.builders software. magicmirror.builders is the ultimate framework for this. However, I know some poeple just want to know what is out there! The MangoMirror software can be downloaded to your Raspberry Pi 3 B+ for free from their website. From there, to configure and control the mirror, you must have an iOS device (iPhone or iPad) where you download the free app that controls the widgets on the screen. The MangoMirror also supports Android systems. Here are the facts on what you need to get this working. You still control the Smart Mirror screen via an iOS app, but you can put an Android Fire Tablet behind the mirror. You can also plug in an Android Fire TV stick into a display via the HDMI port to get the Smart Mirror display up and running. 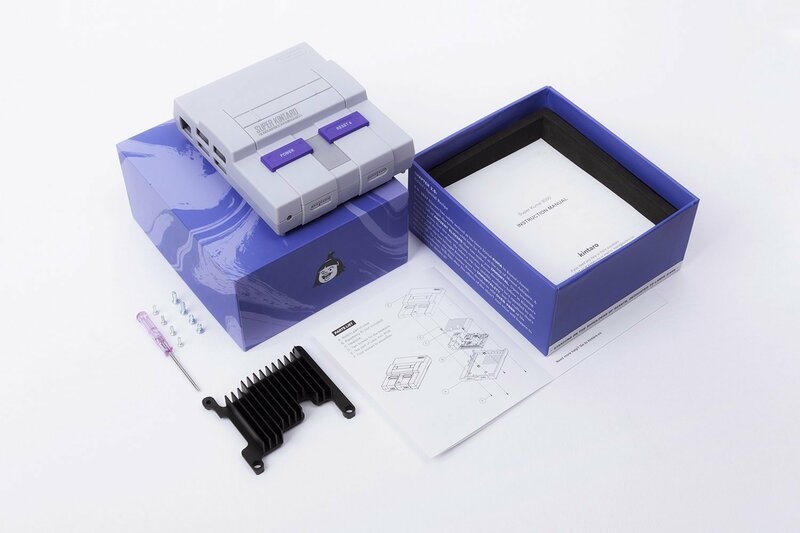 Get the installation instructions here. OK, so you have all the parts. Let’s face it, that is the easy part! That’s because putting a smart mirror together can be very involved with woodworking skills, programming, and specialized tools. For diy smart mirror projects, a main component is attaching the screen to the mirror in some way since the screen is usually smaller than the mirror. I recommend using black VHB tape and Black Mirror Mastic Glue. Both of these options offer a good bond with glass. Frame your tv right to the view-able area of the screen. My ultimate DIY Smart Mirror Guide for 2019. Which features are you going to include in your DIY Smart Mirror? Are you going to program Voice Control on your Raspberry Pi? 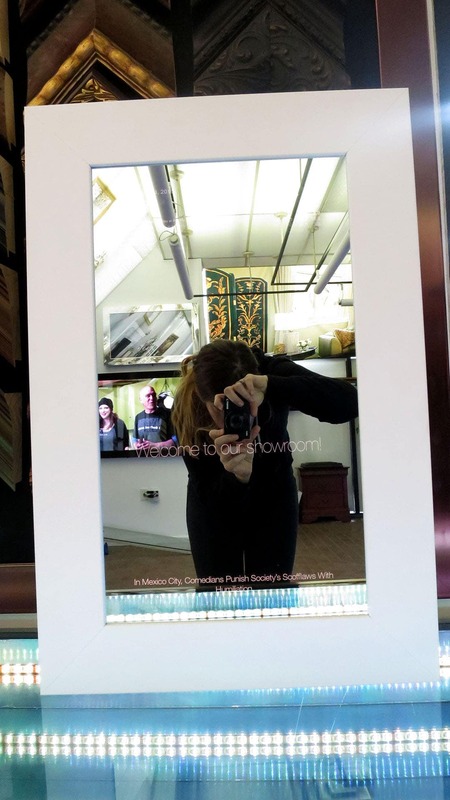 Or maybe you want to try making it a Touch Screen Smart Mirror. Do you ship here in the philippines?? How much is a 32 inches ir touch overlay and two way mirror or glass smart mirror? Do you ship here in the Dubai UAE? if so, please advise me cost for each options. Hi! I’m just curious because you recommend UCN’s touch foil…how do I actually go about buying the touch foil from them? Their website doesn’t seem to offer any means of actually making a purchase. Are there resellers/distributors I should look at? Thanks!